Oh, Lush. It had been a while. A meeting finishing early meant that I had an hour to kill so I ended up in the Lush oxford street store… oh boy. So many lovely things, including the valentine’s collection so I basically had to buy some new treats. I grabbed Lover Lamp, which is a bath bomb with cocoa butter and orange oil – smells gorgeous. So cosy. Most exciting was the new bath bomb, Roller. 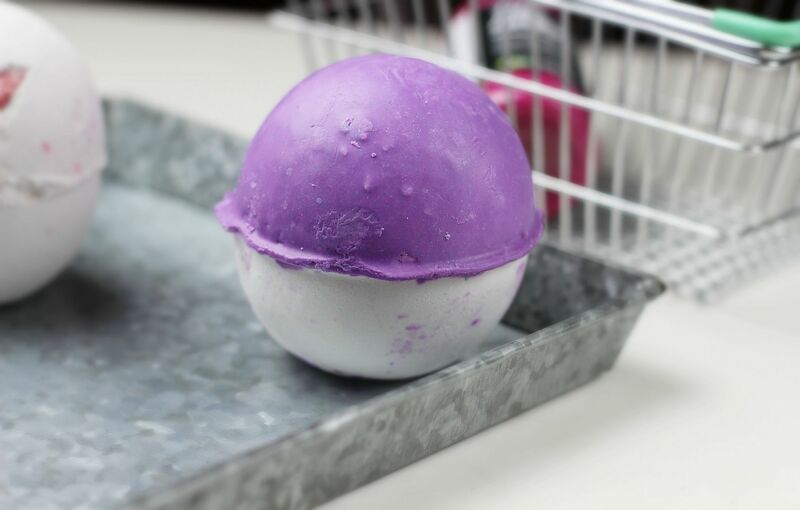 It’s an oxford street store exclusive and is a magical little hybrid of a bath oil and a bath bomb. It smells amazing (doesn’t everything from lush though?) with tonka bean in it, and is a really slow burner. I used it on Friday night and it melted really slowly, but eventually it turned the water an inky colour and made my whole flat smell amazing. 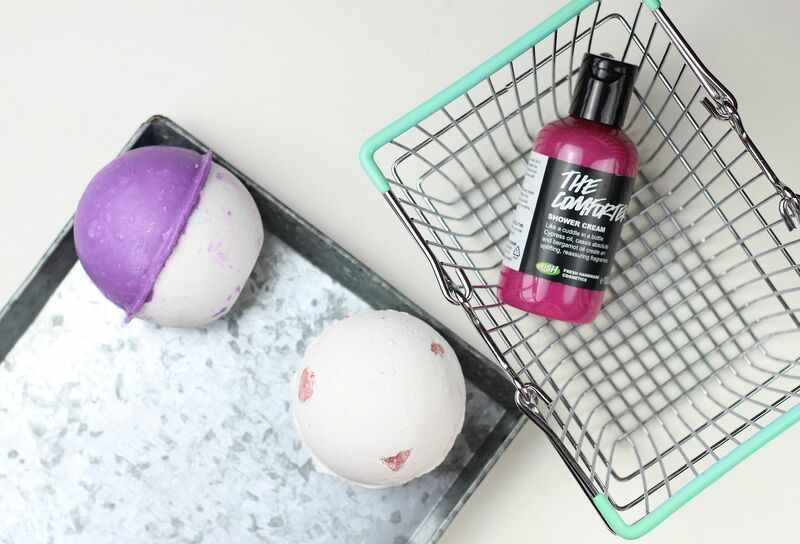 Lastly, I grabbed another bottle of the Comforter shower cream which is basically the nicest shower gel ever – it smells like ribena and leaves my skin really soft. 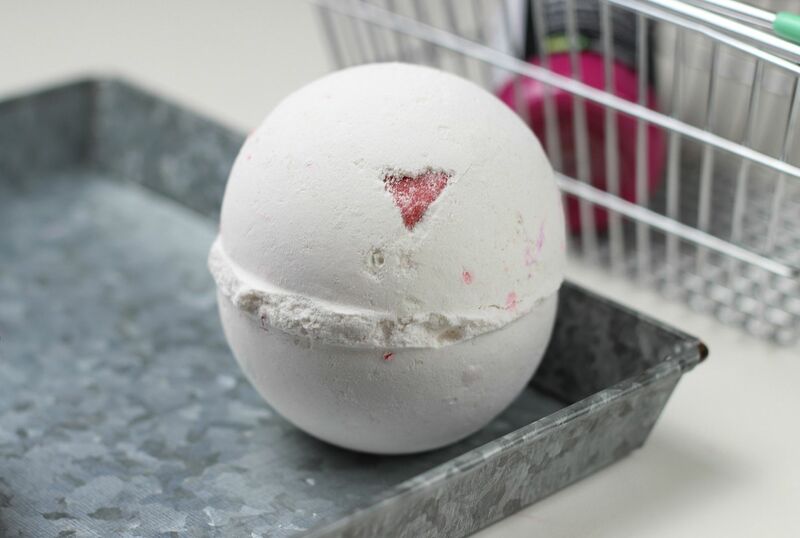 What’s your favourite from Lush? If you liked this post you might like this post on Lush shoot for the stars or this post on Lush golden egg. Urban Decay Gwen Stefani: My picks.